My stepdaughter Jaime teaches 5th and 6th grade. She had 4th graders for years. 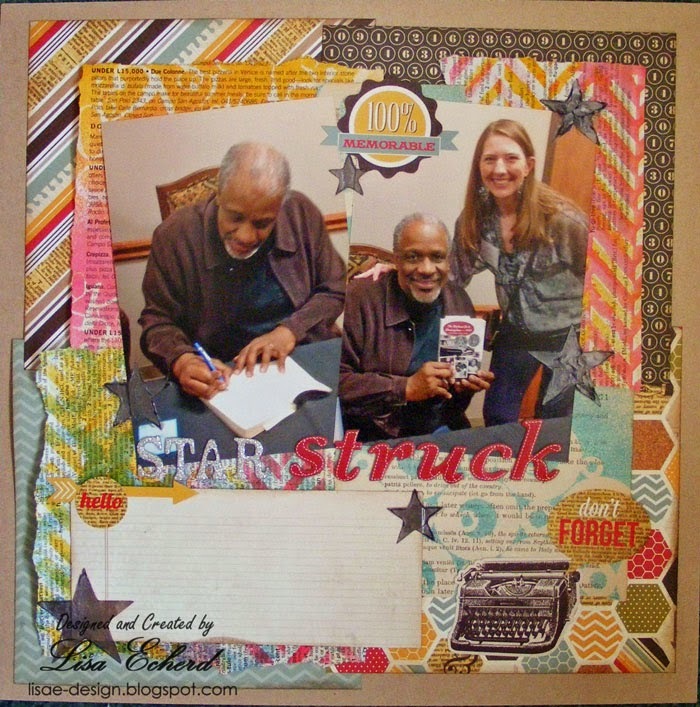 The children's book author, Christopher Paul Curtis, is one of her favorite authors and she finally got to meet him and get a book autographed. The "don't forget" sticker is particularly symbolic here because there is a post it note in the photo with her name on it the way she spells it. He still misspelled it. Oh well, she was still happy with the meeting and a bit star struck. 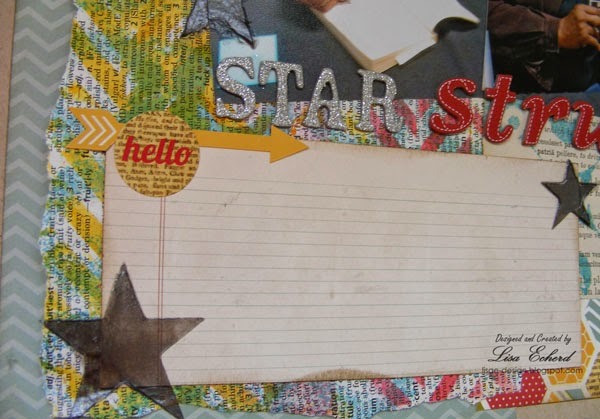 I created this page at Karen's over Easter. We had a lot of fun playing with mixed media. 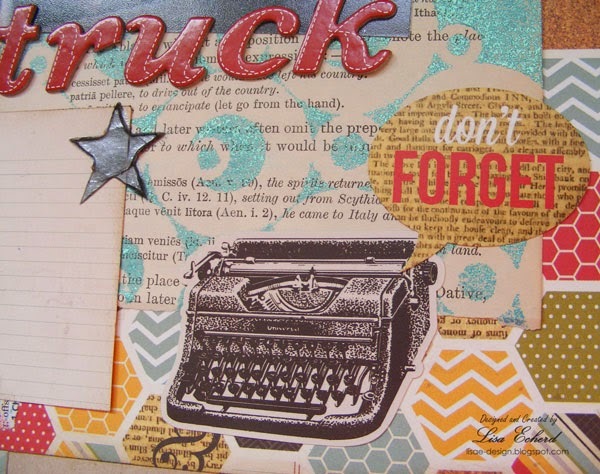 The background is composed of book paper (not his books) with stenciled designs using a variety of mists. They layer over pages from the 24/7 Collection by Simple Stories. The collection also gave me lots of stickers to work with here. And the stars are made with gel medium and silver Perfect Pearls. I cut a star shape from the Cricut to use a template. Is your name one that people misspell? My first name is easy of course but my last name is often spelled differently than I spell it even around here. There are at least 3 common spellings. Not only do people misspell my last name, they often mispronounce it, too...quite often after I've just said it for them! :-/ Oh well. Your page turned out great, and Jaime does look star struck! 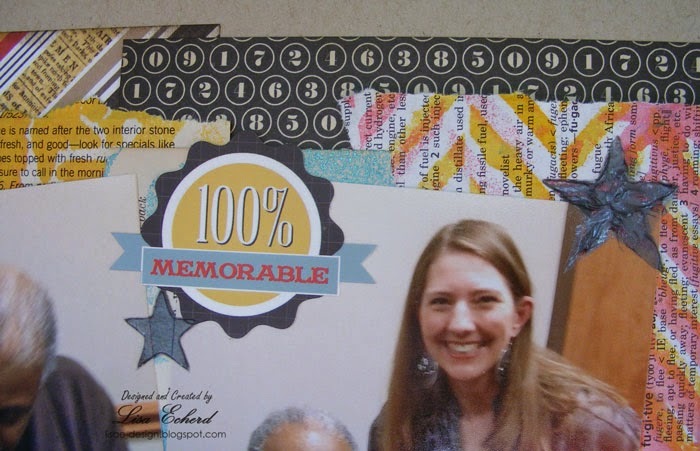 I'm sure she'll have lots to say in the journaling block. Thanks for sharing.